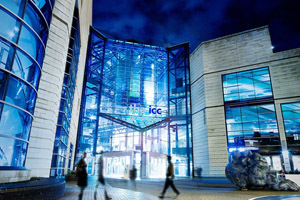 Birmingham has won the bid to host 2013's annual British-American Business Council (BABC) Transatlantic Conference, which will take place at the city's International Conference Centre (ICC) from 15 to 17 May. The event is expected to attract 300 delegates to Birmingham. BABC claims it is the largest transatlantic business network, with 23 chapters and 2,500 member companies. Ian Taylor, Marketing Birmingham's commercial director, said: "BABC's decision to host its annual conference in Birmingham is a further endorsement of the city's reputation as a world-class meeting place, with a vast range of venues and accommodation to suit every occasion." The deputy chairman of the Midlands chapter of the BABC, and Mills & Reeve partner Steve Allen, led the successful bid.